THE INSITE TOLD YOU MOST HOUSTONIANS DIDN’T KNOW WHO WAS RUNNING FOR MAYOR TWO WEEKS AGO – I WENT TO THE PEOPLE! Posted in Uncategorized | Comments Off on THE INSITE TOLD YOU MOST HOUSTONIANS DIDN’T KNOW WHO WAS RUNNING FOR MAYOR TWO WEEKS AGO – I WENT TO THE PEOPLE! KHOU COULD’VE JUST RAN MY REPORT AGAIN AND SAVED SOME TIME! MAYOR BILL WHITE SAYS THE BUDGET SHORTFALL AIN’T THAT BIG! 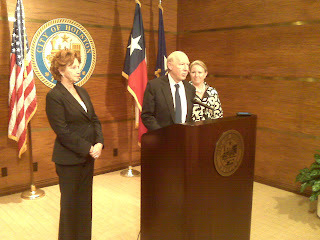 Posted in Uncategorized | Comments Off on MAYOR BILL WHITE SAYS THE BUDGET SHORTFALL AIN’T THAT BIG! ANNISE PARKER STANDS BEHIND HER NUMBERS! 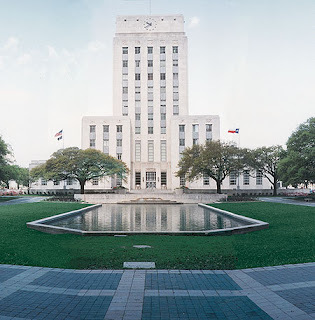 The city of Houston will be forced to make up an estimated $50 million budget shortfall with a combination of spending cuts and new revenues in what portends to be a challenging few months in the waning days of Mayor Bill White’s final term. Sagging property and sales tax revenue estimates released in a report Friday have extended an austere fiscal climate that has loomed over City Hall for more than a year. Through a combination of slowing capital projects, borrowing and minor, across-the-board budget cuts, White so far has managed to avoid some of the more drastic measures other cities have used to stay afloat. BARC AT THE CENTER OF CONTROVERSY AT CITY HALL AGAIN! Posted in Uncategorized | Comments Off on BARC AT THE CENTER OF CONTROVERSY AT CITY HALL AGAIN! 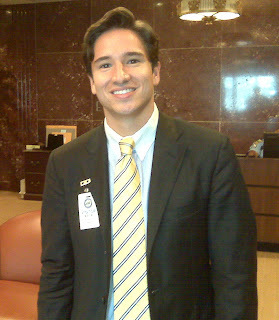 CARLOS OBANDO FILES HIS PAPERWORK FOR HOUSTON CITY COUNCIL! 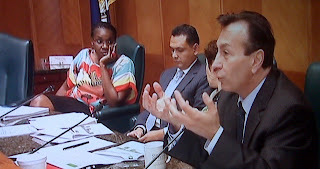 Posted in Uncategorized | Comments Off on CARLOS OBANDO FILES HIS PAPERWORK FOR HOUSTON CITY COUNCIL! 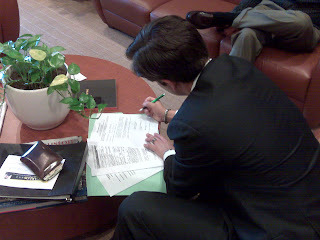 HE’S FILING THE PAPERWORK TO TAKE ON JO! Carlos A. Obando is a native of Bellaire, Texas, attended Episcopal High School and was a member of the Theta Chi Fraternity at the University of Kansas. Carlos studied abroad in Salamanca, Spain on his way to completing his BA in Spanish and Latin American Studies focusing on Finance. Carlos’ work with the Hispanic Chamber of Commerce in Kansas City led to his appointment to a national Latino organization in Washington D.C. He later moved into the private sector working for an international investment company, running all their operations in Puerto Vallarta, Mexico, including part-ownership of Bianco Restaurant and Lounge and Villa Estrellas, a boutique hotel. Along with his extensive international work experience, Carlos has traveled widely and is fluent in three languages, providing him an insight into the world of international trade and business. SHOULD THERE BE A BAN ON POOR PEOPLE ADOPTING PETS? 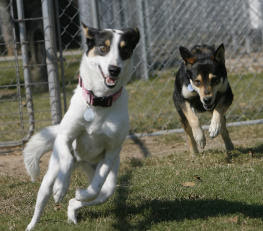 Posted in Uncategorized | Comments Off on SHOULD THERE BE A BAN ON POOR PEOPLE ADOPTING PETS? THE GREAT DOG ADOPTION DEBATE! The headline above is a question that came up in Houston’s City Council on Monday. At special committee meeting on BARC (Houston’s Animal Shelter) Council member Wanda Adams read an email from the contractor who was hired by the city to turn BARC around. He is Gerard Fusco. In that email he indicated the agency should focus its adoptions in more affluent areas. Adams says there was also a list of zip codes that were shown at council that were to be considered essentially no adoption promotion zones. One of those zip codes is where Council member Adams lives. She immediately took offense to the whole premise that BARC should not concentrate its adoption efforts in less affluent or areas where Fusco says pets are treated poorly. She says, “it doesn’t define that everybody in that area that we are bad pet owners because we live in those areas.” Fusco says he was not indicating BARC should flat out exclude poorer areas for pet adoptions. He says it’s a matter of economics. Fusco told the Insite, “in today’s economy it’s very very difficult because people can’t feed their families and so they’re turning in animals because they can’t feed them.” He went on to say the agency should focus more in areas that have been ignored or not targeted where animals have not been poorly treated. So what do you think? Should their be some could of moratorium on the poor adopting pets in this tough economy or does it matter? The Insite would love to hear your opinion! CHARGES FOR MEETING WITH CITY COUNCIL AND THE PRESS? Posted in Uncategorized | Comments Off on CHARGES FOR MEETING WITH CITY COUNCIL AND THE PRESS? WANDA ADAMS SAYS SHE IS OUTRAGED BY THE INVOICE FOR BARC! Fusco tells The Insite it was his mistake to detail his hours. He went on to say he has a very hard job to do and the city is getting his experience and knowledge in exchange for his contract. Fusco also says he’s donated $25,000 of his salary back to the animal shelter. THE CITY OF HOUSTON COULD BE MORE THAN $100 MILLION DOLLARS IN THE HOLE! 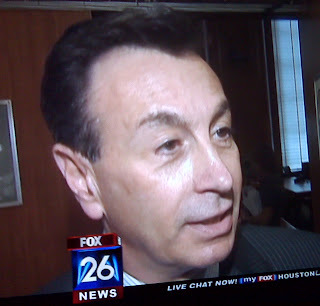 Posted in Uncategorized | Comments Off on THE CITY OF HOUSTON COULD BE MORE THAN $100 MILLION DOLLARS IN THE HOLE! CITY WORKERS MAY BE ASKED TO TAKE A FURLOUGH? The Insite has learned the city of Houston could soon be up to its neck in the red which could lead to to drastic steps from city leaders to plug the hole. Sources have said and we’ve confirmed through the City Controller’s office – Houston faces a $103 million budget shortfall for the fiscal year of 2010. Janice Evans with the Controllers office tells the Insite Annise Parker will announce the big hole this Tuesday and Wednesday to council members. This comes just weeks after the council announced a balanced budget and many bragged how Houston was in much better financial shape than most municipalities. Evans says, “Parker believes all options need to be considered (to balance the budget) but ultimately this is a decision that will be left up to the Mayor and City Council.” But our sources say one of the options out there from city leaders is a furlough of some city employees. The Insite hears it could be 1 day off each month to save the city some money. The city’s Finance department we’re told has a much more conservative estimate in the anticipated shortfall. Those numbers are being compiled by director Michelle Mitchell. The Insite tried to reach a spokesperson with the city for a response but my Sunday call wasn’t returned. Make sure you tune into FOX 26 news at 9pm tonight for more details! THIS IS A REALLY GOOD FUNNY I JUST READ! Posted in Uncategorized | Comments Off on THIS IS A REALLY GOOD FUNNY I JUST READ! 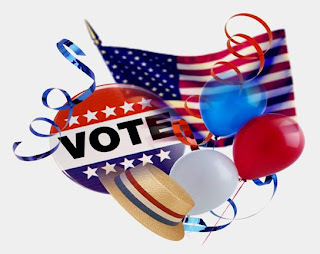 FOR ALL OF THOSE BIRTHERS HERE ON THE INSITE! I will show you President Obama’s birth certificate if you show me Sarah Palin’s high school diploma. Posted in Uncategorized | Comments Off on IT’S MICHAEL JACKSON’S BIRTHDAY! 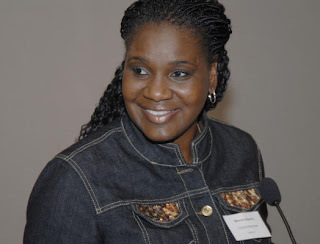 Posted in Uncategorized | Comments Off on CONGRATULATIONS TO CAROLYN MUNGO! LOOK WHO’S IN CHARGE NOW AT KRIV TV! Congratulations to Emmy award winning journalist Carolyn Mungo. She was appointed to the position of assistant News Director at FOX 26 news this week. Mungo previously served as the managing editor of the news department. KRIV Vice President of News Tom Doerr described Mungo as a true leader in the news division who deserved the appointment as his second in command. Mungo is a former television journalist who has won every award known to man. She decided a few years back she wanted to step from in front of the camera and guide reporters, producers and photographers in the newsroom. She has been as successful at that as telling a story on television. Mungo says she’s very excited and proud to have the new position. 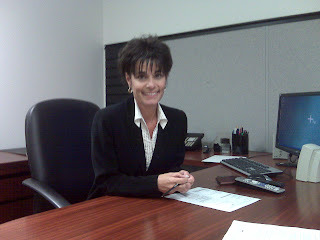 Congratulations Carolyn on your new appointment. We’re all rooting for you! Posted in Uncategorized | Comments Off on WELCOME TO PASADENA! LITTLE GIRLS PLAY WITH IGUANAS TOO! I made a stop at the Dollar General Store in Pasadena last week to get a cheap cooler and bottled water for the FOX News crew. I noticed a lot of chatter from the clerks in the store. I had no idea what they were talking about. So I turned around and saw a little girl with a shirt that looked almost three dimensional with a picture of an iguana on it. Then as the girl came closer it was revealed to me the creature was real. She asked me if I wanted to hold it. I said no. But I did request a picture which she agreed. It was a rare sight for me. 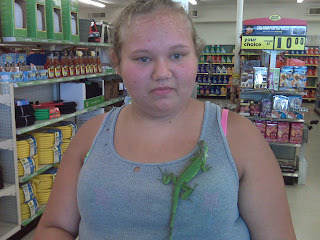 A girl with a lizard as a pet. Usually, it would be a little boy holding the green thing. But I thought it was a cool picture and now I’m sharing it here on the Insite! 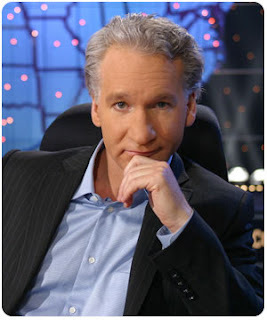 WHO’S BEHIND THE EFFORT THAT’S KILLING GLENN BECK’S SHOW! Posted in Uncategorized | Comments Off on WHO’S BEHIND THE EFFORT THAT’S KILLING GLENN BECK’S SHOW! COLOROFCHANGE.ORG IS WHERE IT ALL BEGAN! Beck is on a campaign to convince the American public that President Obama’s agenda is about serving the needs of Black communities at White people’s expense. It’s repulsive, divisive and shouldn’t be on the air. Join us in calling on Beck’s advertisers to stop sponsoring his show. Do not send me any updates on our progress. Read the e-mail message that we originally sent to our members about this petition. Here is the text of the message we’ll deliver to advertisers on your behalf. You can also add a personal comment in the box provided to the left. I want to alert you to the fact that Glenn Beck–whose show you sponsor on FOX–is using his platform to make outlandish accusations about the President and to advance baseless theories that prey on race-based fears. He is claiming that President Obama is a “racist,” that he has a “deep-seated hatred for white people,” and that he is attempting to use our government to deliver “Obama-brand reparations.” The claims are ludicrous, and the rhetoric is racially divisive and pollutes our public discourse. I presume your company does not want to enable such rhetoric, nor have your products or services associated with the kind of views and tactics espoused by Beck. I urge you to immediately cease all advertising on the Glenn Beck Program on the FOX News Channel.